Oh really? Venezuela has chronic shortage of breast implants. Home Pop Culture Oh really? Venezuela has chronic shortage of breast implants. At what cost new breasts? Venezuela may have no shortage of beautiful women but the nation it seems according to a new report does have a chronic shortage of breast implants as women aspire to meet heightened beauty standards in the latin nation. In fact so dire have things become as one woman after the other is compelled to approximate preferred beauty standards, the nypost in a feature reports that a scarcity of brand-name breast implants has led to doctors turning to devices that are the wrong size or made in China, with less rigorous quality standards. The quagmire in part is related to the financial dilemma currently sullying many Venezuelans who because of restrictive currency controls and exacerbated exchange rates between the US and the Venezuelan bolivar are forced to look elsewhere from the easy access of breast implants as approved by the US Food and Drug Administration. 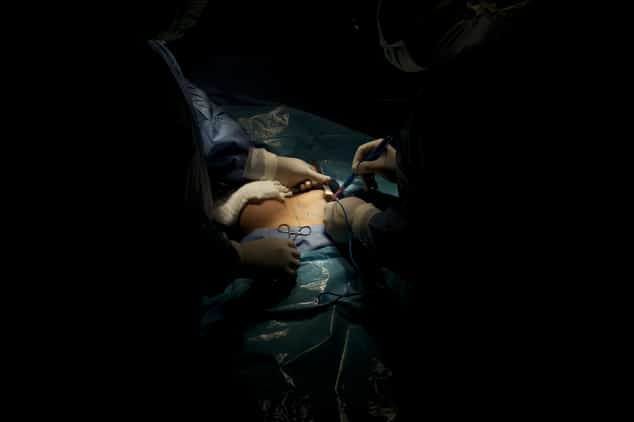 With doctors performing up to 85 000 breast implants in 2013, according to the International Society of Aesthetic Plastic Surgery, Venezuela is thought to have one of the world’s highest plastic surgery rates. Only the US, Brazil, Mexico and Germany — all with significantly larger populations — saw more procedures. Relays the nypost: Slobodianik used to perform several breast implants each week, but now performs closer to two a month. He says women call his office every day asking if he has the implant size they’re looking for. When they can’t find it, they choose a second-best option, almost always a size up. From there we find out that the state which has been preoccupied with social movements have hardly been particularly empathetic to the guise of breast augmentation with social media users going so far as to reckon that the panic over implants shows the real shortage here is values. Continues the nypost: In the absence of US brands, plastic surgery has become an area dominated by Venezuela’s chief trading partner, China, whose goods are often given priority for import over those from other countries. They’re also a lot cheaper. While a pair of implants approved by European regulators can cost as much as $600 — about the same as the annual minimum wage here — the Chinese equivalent goes for a third of that. Some Venezuelan doctors refuse to use the Chinese devices, which are not subjected to random government inspections or clinical studies. Unable to find the devices in doctors’ offices, some women are turning to the Venezuelan equivalent of the bartering website Craigslist, where sellers post pictures of black-market implants of unknown origin sitting in sealed packages on kitchen tables, complete with stories of spouses who changed their minds and reassurances that the pouches remain sterile. From there we find out about other instances were women are forced at their wits end to come up with the necessary money and reckon with the challenges of currency controls and annual quotas limiting Venezuelans to no more than $305 access of US dollars. Hardly the necessary money to get one’s new breasts on tow.